This is an Onyx Island that has been etched by an acidic beverage being placed directly on the stone. 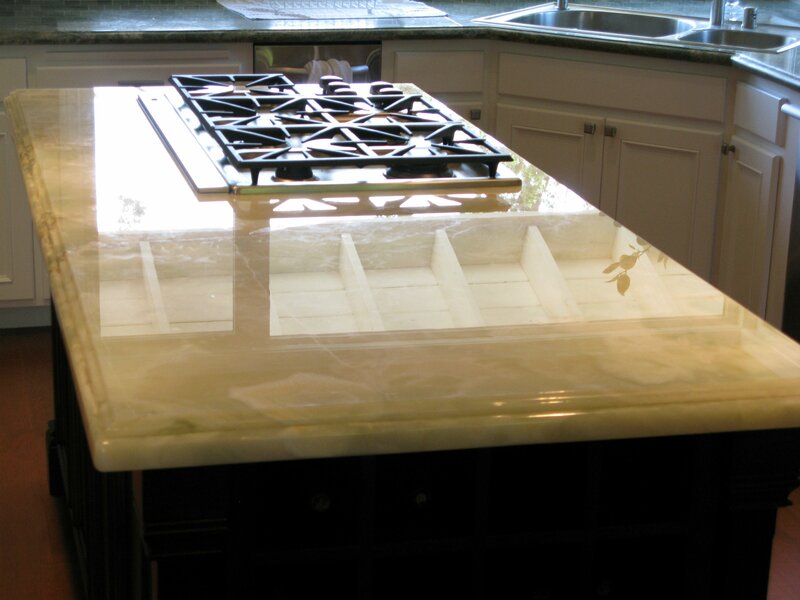 Our team provides stone restoration service that can bring back luster to even the most sensitive counters. 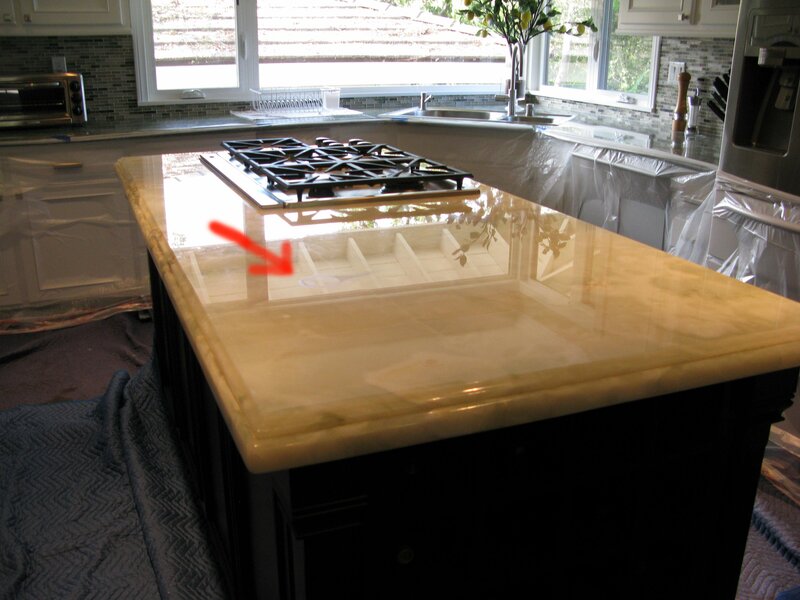 We use diamond abrasive pads to correctly restore stone counters to a crystal clear level of clarity. After diamond honing and polishing this Onyx stone surface, the etched ring has been removed and the stone is back to a shiny, new state.